We’ve been having quite the hot summer here in Edmonton. It’s been gorgeous, don’t get me wrong! But sometimes, it’s just too hot to eat hot food. 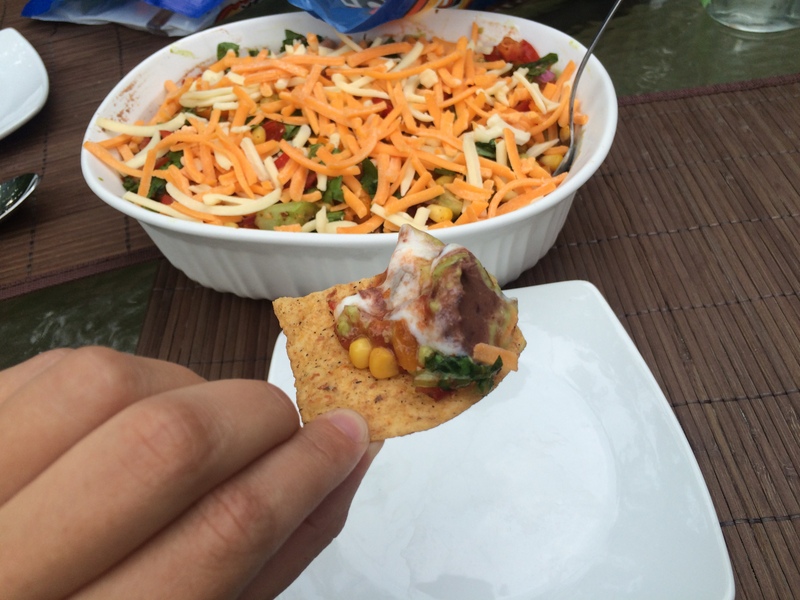 So the other day, I was inspired to make a seven layer dip for dinner, rather than cooking anything hot. 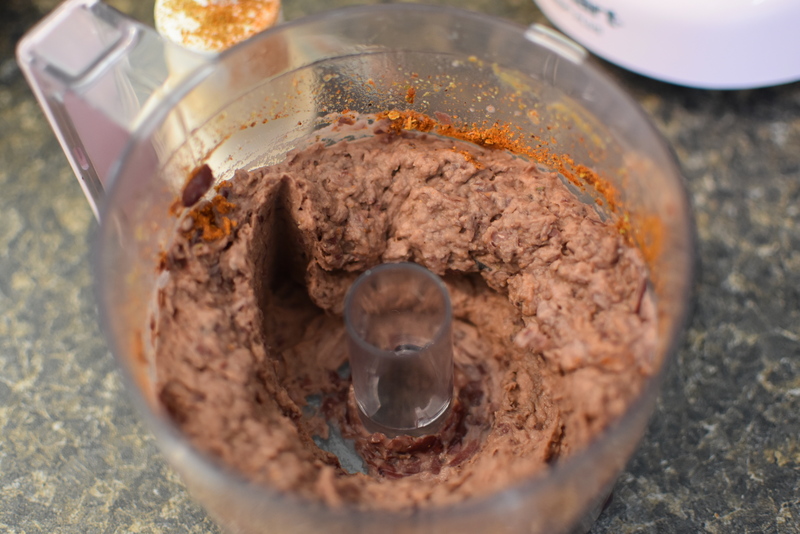 I decided to stray away from the traditional refried beans because 1. I didn’t have any in my cupboard, and 2. I really like black beans. 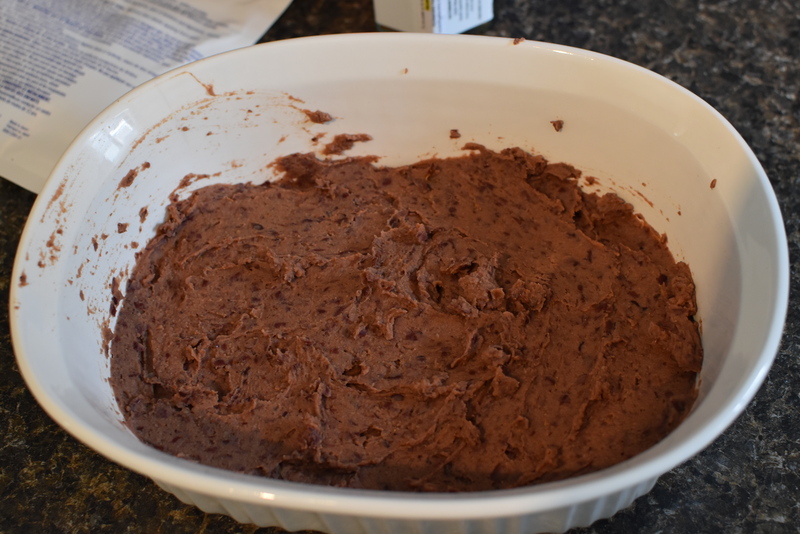 So I made a black bean dip with lime juice, black beans, and taco seasoning. 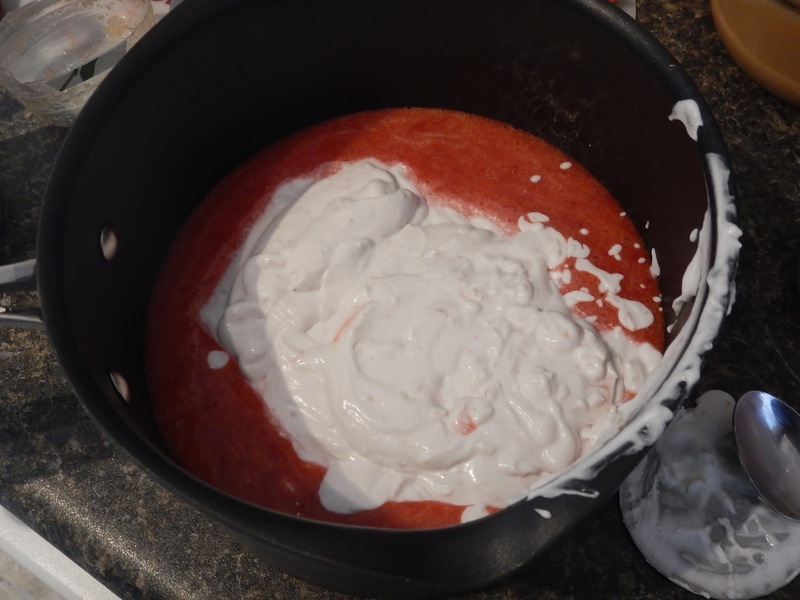 Then I added a layer of sour cream. 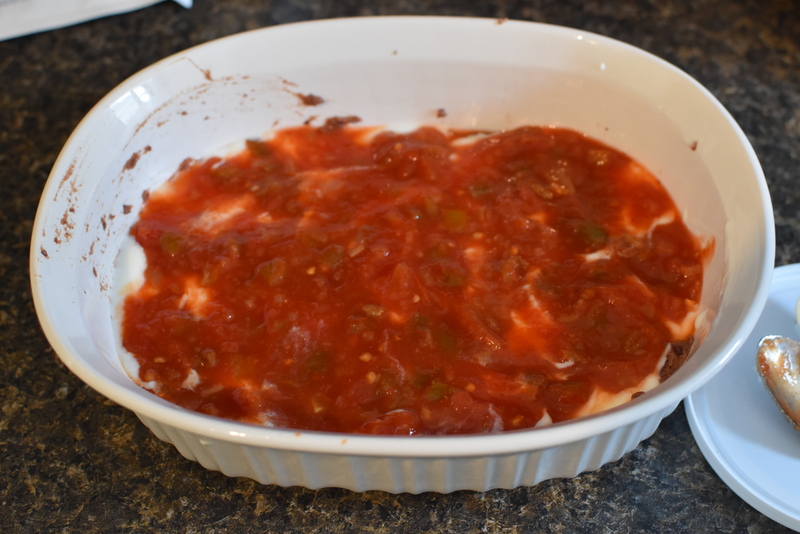 Next, it was the salsa layer. 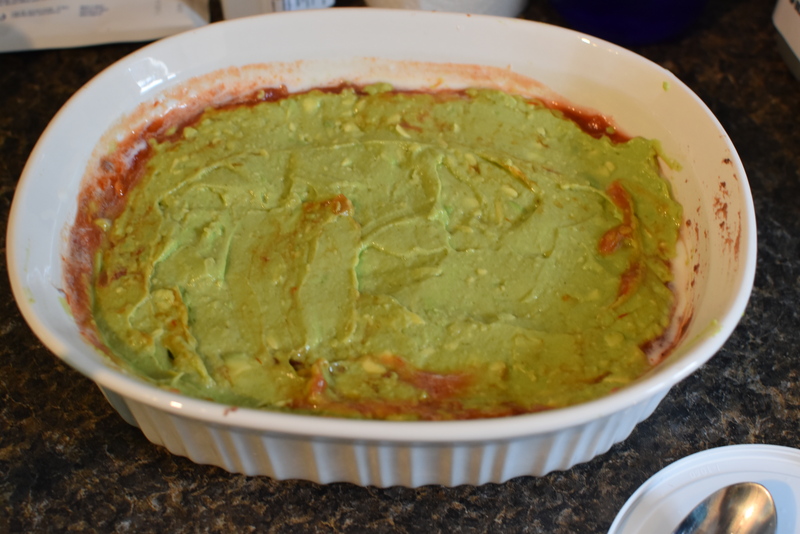 Instead of buying guacamole, I made my own. 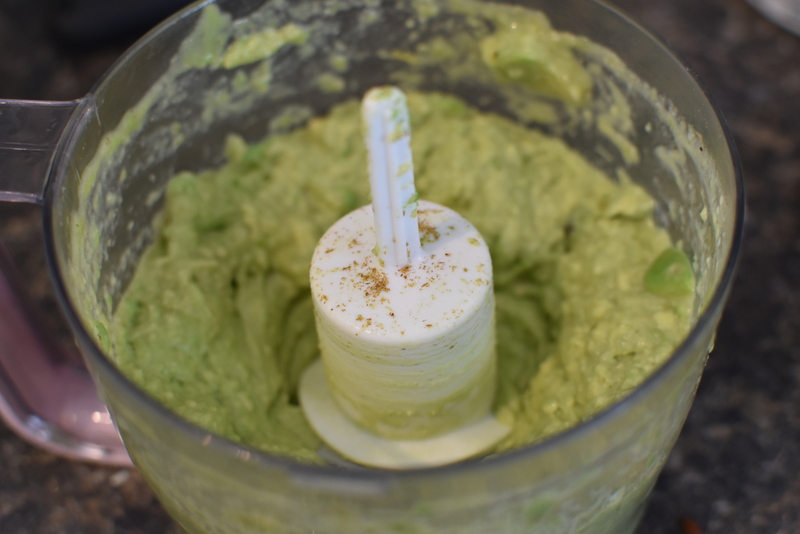 Avocados, cumin and lime juice. Simple and delicious! Here it is, all blended up. My food processor got a bit of a work out that day! It made a tasty, thick layer! For the grande finale, I got Justin to help me chop a whole bunch of veggies very fine for the top. 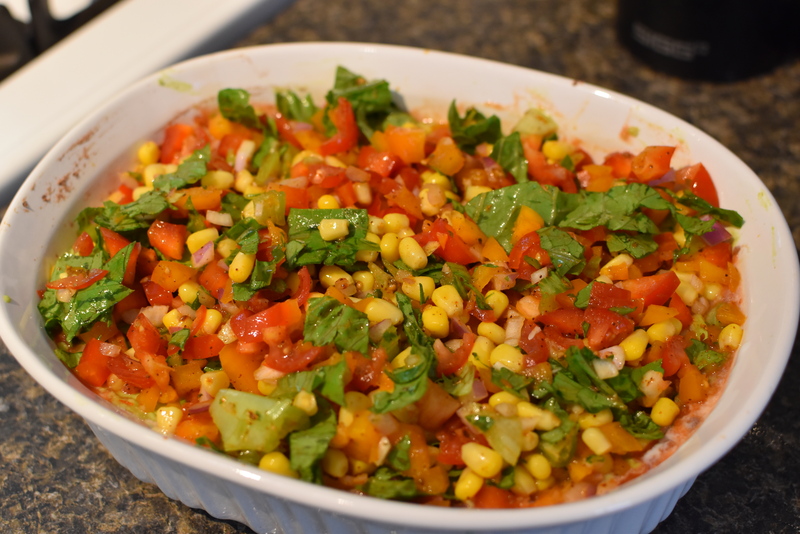 We used corn, lettuce, red onion and sweet bell peppers. Then I tossed it all in some taco seasoning and hickory smoke flavour. Yum! This layer made it somewhat of a balanced meal. Yum! Finally, I threw a whole bunch of cheese on top and served it up for dinner. Delicious! Start by draining and rinsing the beans. Throw it into the food processor with the lime juice and taco seasoning. Blend until smooth. Smooth it into the bottom of a casserole dish. Smooth the sour cream on top. Smooth the salsa on top of that. 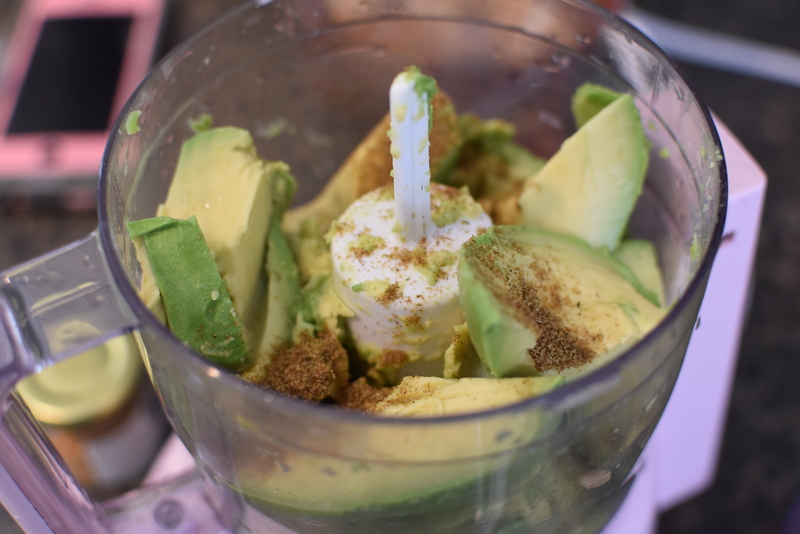 Next, blend avocados with lime juice and cumin until smooth. Dice up the peppers, onion and lettuce and add to a large bowl. 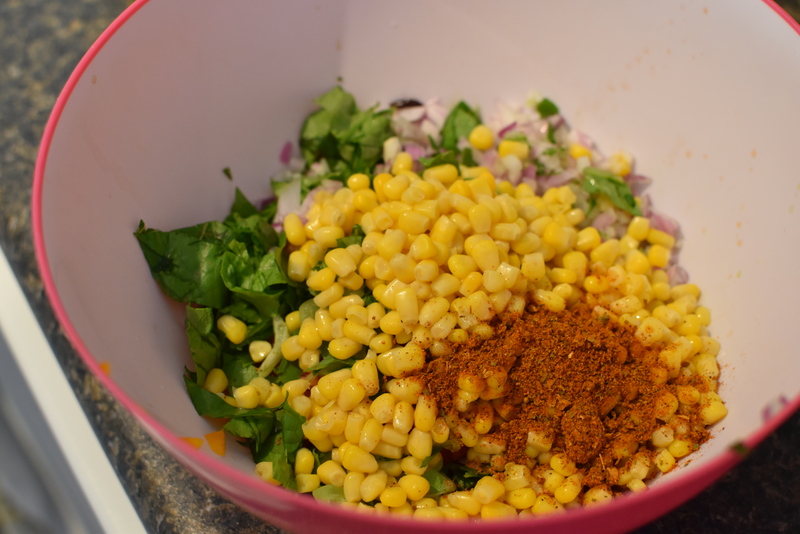 Add corn to veggies and sprinkle with more taco seasoning. Mix well. Add to top of casserole dish. Finally, top dip with cheese. Serve with tortilla chips. Enjoy! 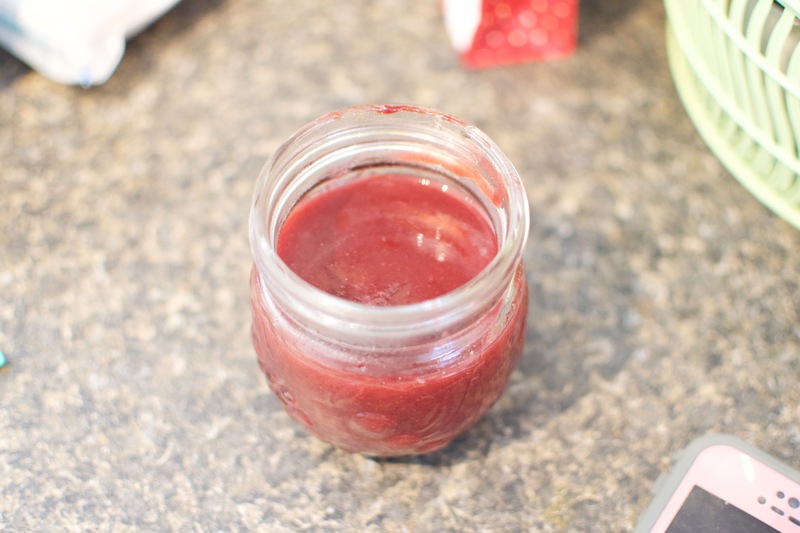 Nanking cherries are out in full force in my backyard, and this year, I decided to make a tasty BBQ sauce with them, rather than just eating them. Here they are, all washed and clean. I added some Evans cherries from the freezer for added flavour. I boiled the cherries down with the sugar to release their juices. Then I strained them. Back on the stove, I boiled it down some more, and added the seasoning. Here it is, all boiled and thick. I popped it into a mason jar while still hot, and put the lid on, so it could seal. 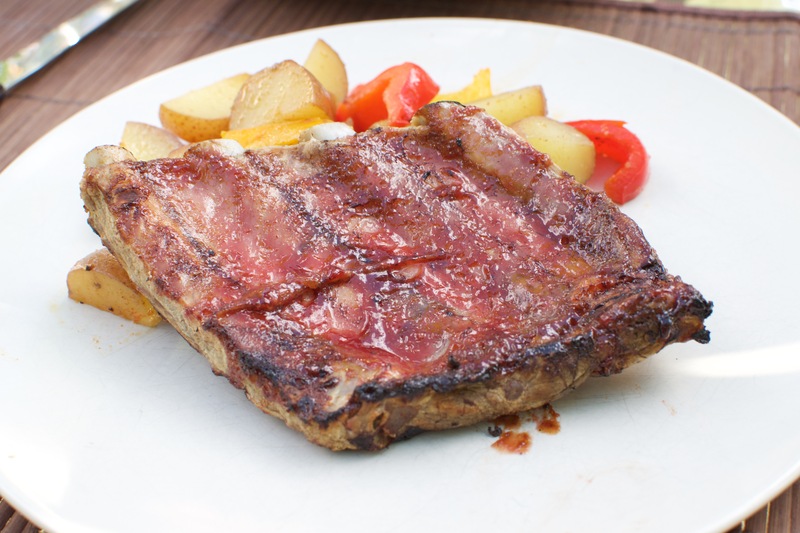 That evening, I made ribs on the BBQ, slathered in sauce. They were delicious! 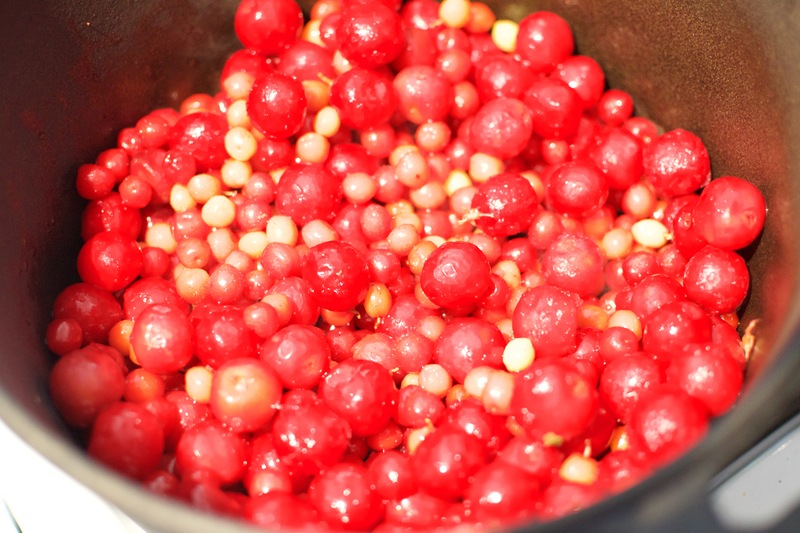 In a large saucepan combine cherries and sugar. 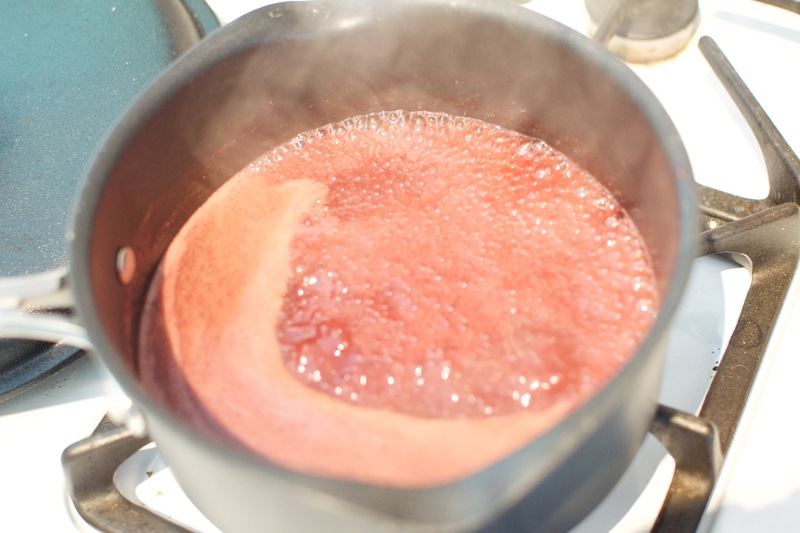 Bring to a boil, reduce heat and simmer until cherries have given up their juice. 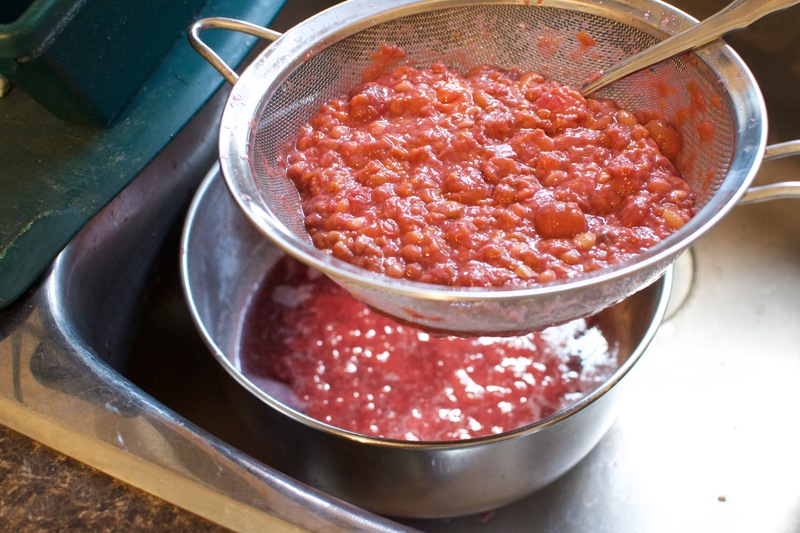 Remove from heat and push through a sieve to remove skins and pits. 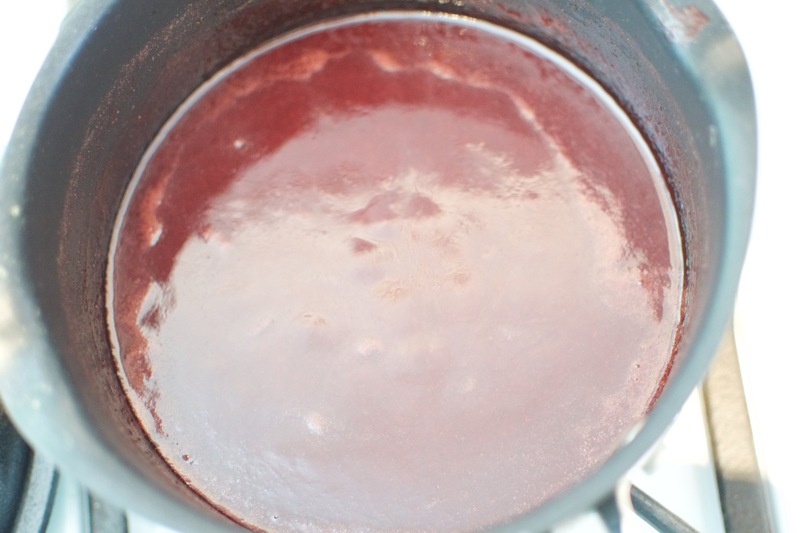 Return cherry juice to saucepan over medium heat, add all the dry ingredients, stir well and bring to a boil. Reduce heat to a simmer. Continue to simmer until slightly thickened. Cool and refrigerate in a sealed container. As you know, I absolutely love ice cream. In the summer, I could eat it every single day. I looooove making my own ice cream. 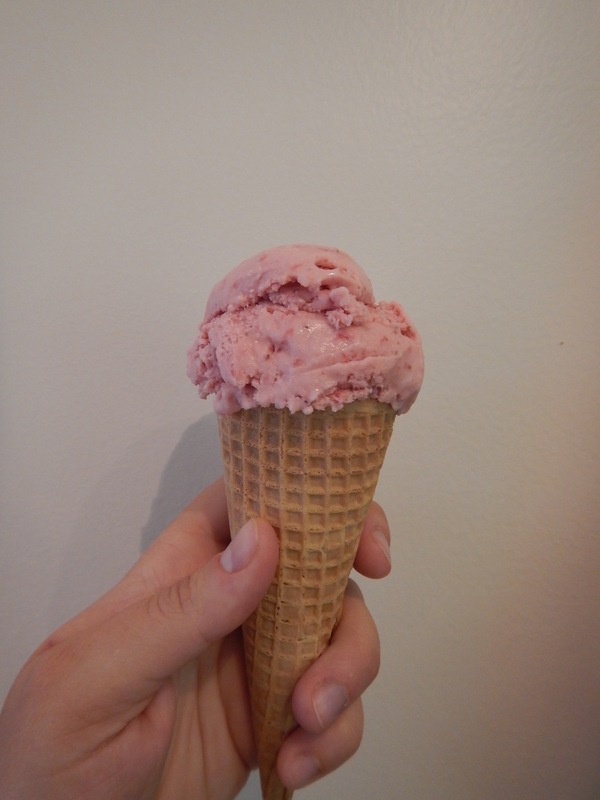 I’ve made Cardamon Cherry Ice Cream, Coconut Ice Cream, Pistachio Ice Cream, and my two absolute favourites: White Chocolate Raspberry Ice Cream (drool) and Mint Chocolate Chip Ice Cream (a childhood favourite). Most of the recipes have a custard base, which I love because it means you can play with the fat content without having to compromise on the creamy texture. Sadly though, with the no-non-cooked egg rule of pregnancy, I can’t make any of my staples. So, I opted for a eggless recipe this time around. 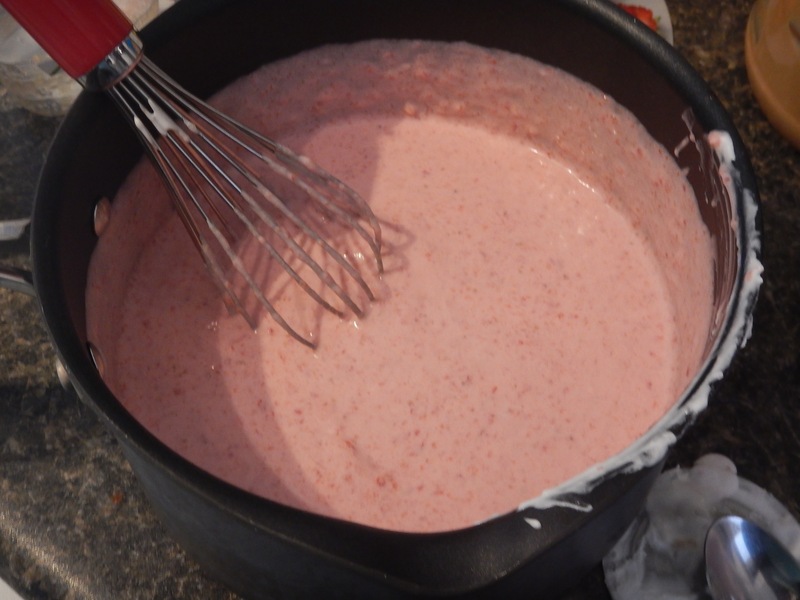 The recipe was very simple and called for full fat coconut milk, strawberries and honey. 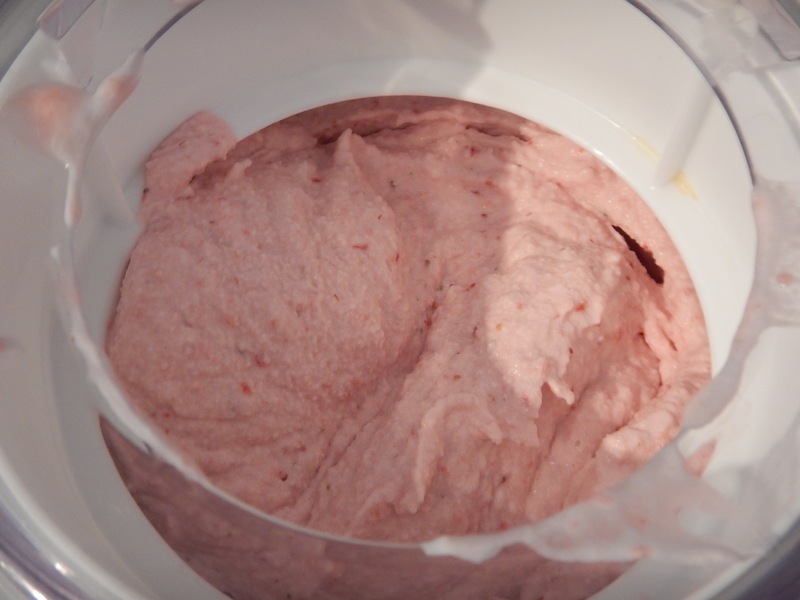 Blend up the strawberries in your food processor with the honey. 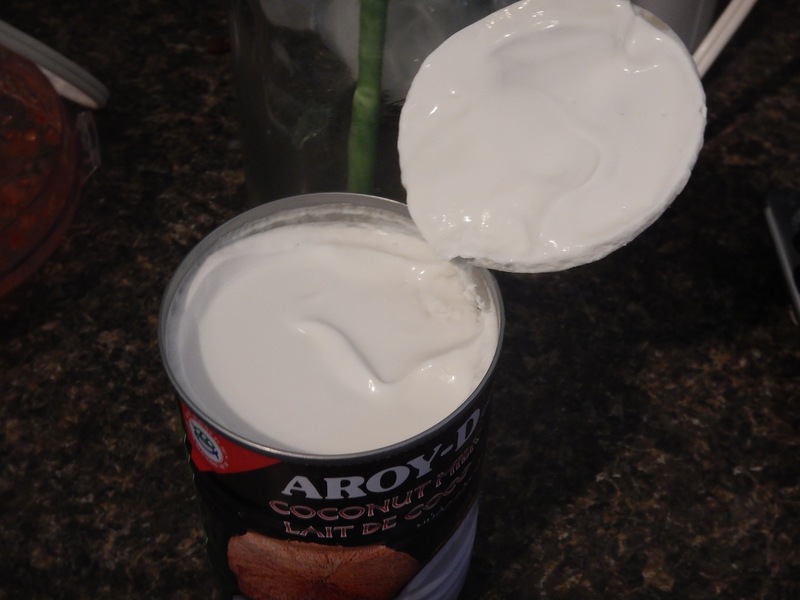 Then skim the coconut fat off the top of the can. Throw it all into a bowl. Then whisk up to make sure it’s all fully incorporated. Pop it into your ice cream maker. Place cans of coconut milk in the fridge the night before. When ready to make, prepare strawberries by removing stems and cutting in half. 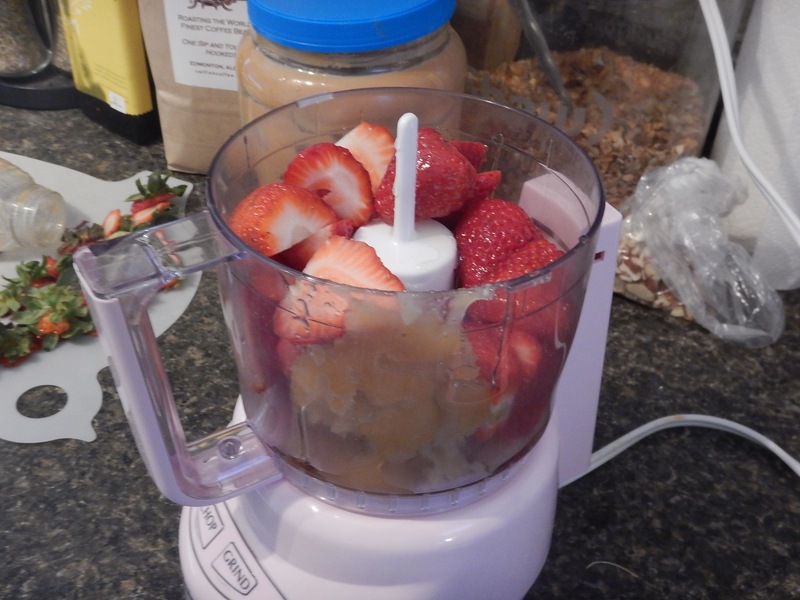 Add strawberries and honey to food processor and blend until smooth. Transfer to a bowl. 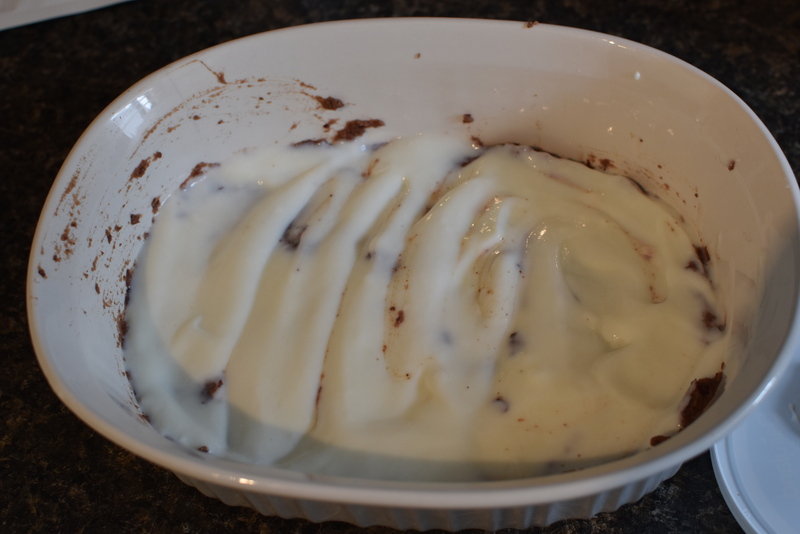 Scoop top layer of coconut cream from cans and add to bowl. Whisk to fully incorporate. 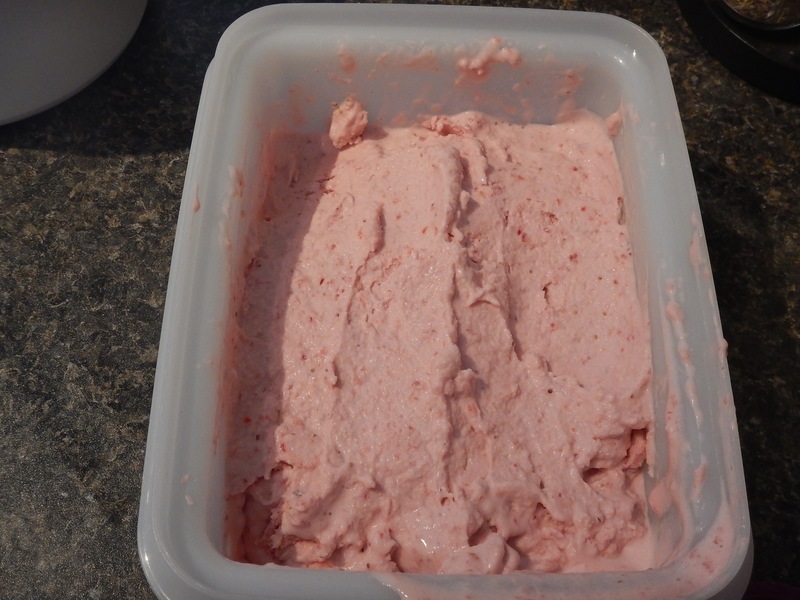 Next, using your ice cream maker, transfer ice cream base to freezer container and let churn for about 20-25 mins. When it has reached the desired consistency, transfer to a freeze proof tupperware. Serve as a cool summer treat.